After completing a Luminex® Assay, is it possible to store the assay plate ion the instrument overnight prior to analysis? Storing the plate overnight prior to analysis has not been validated by R&D Systems. It is recommended that users validate deviations from the recommended protocol in their laboratory to ensure accurate and reproducible results. Are controls available for the Luminex® and High Performance assays? Controls are available for the Human Luminex High Performance Assays. The control set specific to the panel can be found under the Supplemental Products tab on the product specific web page.Please contact Technical Service for additional information about these controls. Are Luminex Performance assays correlated to Quantikine® ELISA kits? Yes, Luminex Performance assays are correlated to the Quantikine® ELISA kits. Can analytes from multiple Luminex® Performance Assay base kits be combined to create custom panels? No, analytes from separate Luminex Performance Assay panels cannot be combined. The base kits contain the standard curves for only those analytes recommended for that specific panel. All buffers and reagents have been optimized for the analytes within that panel and may not be compatible with analytes represented in other panels. Can Luminex® beads be used in a flow cytometer? The difficulties of running multiplex beads in a flow cytometer is the inability to distinguish the different bead sets since they are stained with dyes that are optimally excited with a YAG laser. If a customer wishes to run a single bead population (IL-8 only for example), one would need the ability to discriminate different beads with different analyte capturing abilities. Also, since the bead assays are developed with PE-conjugated antibodies, the argon laser of most flow cytometers will be able to generate a signal from these beads. Keep in mind that this does not utilize the full potential of the Luminex Assay kits. Can magnetic Luminex beads be washed using a vacuum manifold? The best method for washing magnetic beads is use of a magnet. However, magnetic beads can be washed using a vacuum manifold and a filter-bottom plate. Magnetic beads are actually larger than the polystyrene (6.4 vs 5.6 um) so there is little risk for the beads to be pulled through the filter with a standard filter bottom plate (Millipore, Cat# MSBVN1B50). Prior to reading the assay, add an extra shaking at the final re-suspension step to be extra sure the beads are free from the plate. Do you have to run the entire Luminex plate at the same time? Running the whole plate at one time is not necessary. If running a partial plate, R&D Systems recommends covering the unused portion since the wells are not in removable strips. That way the unused portion of the plate will not be contaminated. Reusing of wells in the plate is not recommended. How can I order a Luminex assay and how much does it cost? The cost of R&D Systems Luminex kits can vary depending on how many analytes are plexed together. Pricing information can be found on our Luminex Ordering Tool located here: https://www.rndsystems.com/luminex/analytesIf assistance with pricing is still needed, please contact Customer Care. How many samples can be run with one Luminex kit? Each Luminex kit contains one 96 well plate. If standards and samples and run in duplicate, users will be able to run 40 samples per plate. How will I know if I cannot mix certain Luminex analytes together? Our Luminex ordering tool is designed to alert you if any analytes are not able to be multiplexed. If analytes cannot be plexed together this can be due to known interference or the same bead region has been selected. If you are having difficulties determining if the analytes can be plexed together, please contact our Technical Support. What is R&D Systems doing to reduce its use of packaging from non-renewable resources? R&D Systems should consider re-using styrofoam boxes that are in good condition after delivery. Environmental stewardship is important to R&D Systems and its employees. R&D Systems regularly explores "green" options. First and foremost, the energy expended to ship back the styrofoam box is more detrimental to the environment than having the facility re-use or recycle it. Our stance is to encourage our customers to implement a recycling program locally and we can identify a recycling center for styrofoam nearest your facility if necessary. At R&D Systems we have chosen to reduce the use of styrofoam as much as possible by: Doing extensive stability testing in order to determine which products can be shipped with minimal packaging at ambient temperatures, Converting the use of non-recyclable packaging materials to recyclable plastics, cardboard, or biodegradable materials, and Continuing to investigate alternatives to dry ice shipments, the use of re-usable containers, and gel packs that allow for smaller styrofoam containers. Employees were key to initiating a recycling program at our facilities. Internally, we recycle paper, plastic, cardboard, aluminum, glass, and styrofoam. What is R&D Systems recommendation on how to dilute samples when expecting high sample values for one analyte and low sample values for another? If expected sample values are unknown, an initial test of serial dilutions is recommended. For example, 1:2, 1:10, and 1:50 are typical starting points used by many laboratories. What is the difference between limit of detection (LOD) and lower limit of quantification (LLOQ)? The lower limit of detection (LOD) is also known as the minimum detectable dose (MDD). This is calculated by adding two standard deviations to the mean optical density value of twenty zero standard replicates and calculating the corresponding concentration. The value obtained from this calculation is considered the absolute minimum value that could be distinguished from the background.The lower limit of quantification (LLOQ) is the lowest point on standard curve. This value will give the lowest quantifiable concentration value in samples. Any sample values that fall below that of the lowest standard should be reported as less than the LLOQ. What is the difference between R&D Systems Luminex Assay and Luminex High Performance Assay? In general the sensitivity of the Luminex Assays and Luminex High Performance Assays is simillar. A High Performance Assay consists of select analytes which have been thoroughly tested and validated together as a panel. The diluents provided in the High Performance kits and assay conditions have been optimized for best results with the analytes on the same panel. The High Performance Assay is the most precise, reproducible and accurate Luminex tool offered by R&D Systems. Controls are available for the Human Luminex High Performance Assays.The Luminex Assay option is a flexible tool, providing the uncommon opportunity to customize by mixing and matching analytes across different panels. 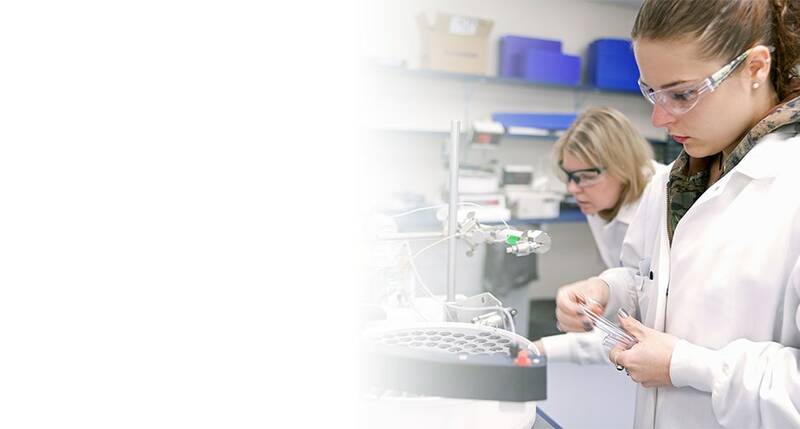 Although not as extensively tested as the High Performance Assays, analytes on a Luminex Assay are tested together when built and a final quality control test on each Luminex Assay is performed prior to release. Since each Luminex Assay is unique and built to order, additional days are required for order fulfillment and it is not characterized by the same level of optimization and validation testing as with the High Performance assays. Controls are not available for Luminex Assay.For low abundance cytokines, High Sensitivity panels are available for High Performance Assay, which are not available for Luminex Assay. What is the half life of a cytokine in serum/plasma/CCM for ELISA? R&D Systems does not determine the half life of cytokines in natural samples such as serum, plasma, or cell culture supernates. Our general recommendation is to assay the sample immediately or aliquot into single use volumes and store these samples frozen. We recommend avoiding repeat freeze-thaw cycles with these samples to avoid protein degradation. Why are standard values on a data card, and not printed in the kit booklet? The product datasheet describes the protocol and validation of the assay which does not change from lot-to-lot. The standard value card is specific for the lot of product manufactured and contains lot-specific values. Please contact Technical Service (techsupport@bio-techne.com) and provide the kit catalog # and lot # if additional standard value cards are needed. Will R&D Systems' Luminex Performance Assays produce sample values similar to those produced in other vendor's ELISAs or Luminex Assays? R&D Systems immunoassay standards are calibrated against an internal "Master Calibrator" to ensure consistency of the standard curve and sample values from lot-to-lot. The challenge when comparing immunoassay results from different vendors is that there is no single Master Calibrator for each analyte that is used by all vendors. Calibration, coupled with other variables (such as antibodies, detection methods, buffers, and cross-reactivity/interference) can lead to differences in sample values from different vendors’ assays. Your shaker protocol tells me to use 500 rpm. This is too fast for my shaker. Is this speed correct? This is 500 rpm with a 0.12 orbit. If the plate shaker has a larger orbit, then 500 rpm will be too fast. In this case calibrate the speed to approximate R&D Systems recommendation. To do this, take a spare 96-well microplate and use wash buffer to load the amount of liquid that will be in the well for incubation on the shaker. Cover with a plate sealer and adjust your shaker speed so there is a fairly vigorous swirling almost to the top of the well. You do NOT want any splashing on the plate sealer or foaming of liquid in the sample. R&D Systems recommends the ThermoFisher Model # 4625 microtiter plater shaker. What is the stability of supplemental ELISA kit controls (Quantikine, Quantikine HS, or QuantiGlo ELISA kits)? Controls are assigned an expiration date of 3 months from date of receipt. They are to be used once and discarded. If the lyophilized controls are stored properly, it is possible that they will remain stable for an extended period of time, although we have not conducted extended stability testing. The controls have not been tested for stability after reconstitution.